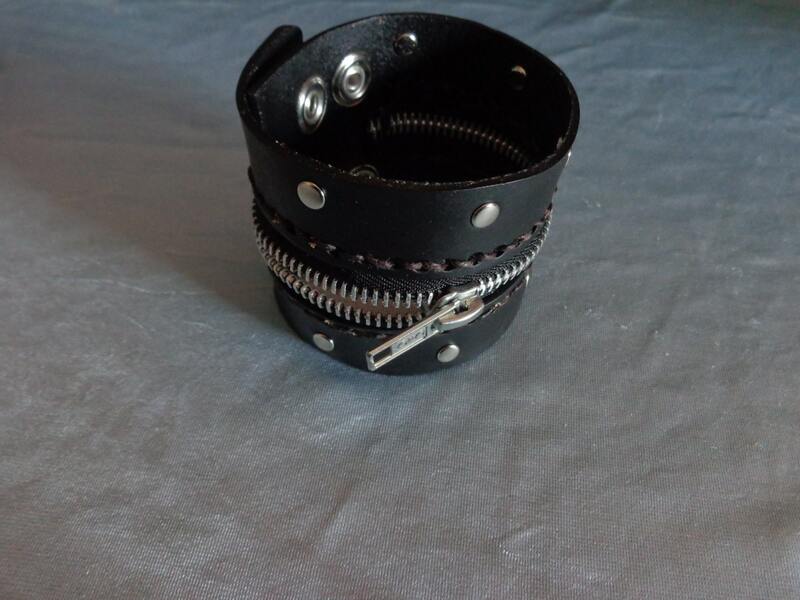 Whether you are looking to complete that rocker, gothic, or biker look or if you just want a more unique look, this cuff is for you. 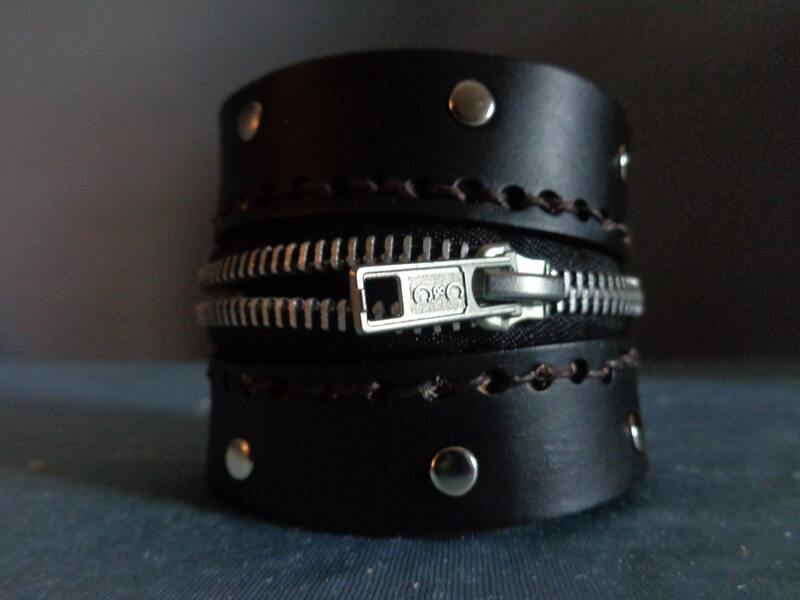 Sturdy zipper, silver rivets and split leather band. 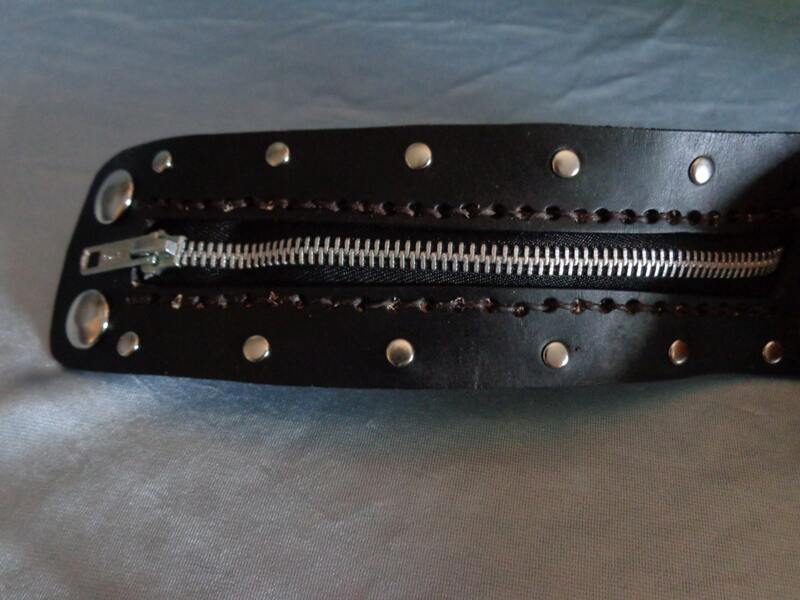 Adjustable double snap closure. Unisex.